Giambattista Piazzetta played a key role in the renewal of Venetian painting of the Settecento. While Sebastiano Ricci and Giambattista Tiepolo were responsible for the revival of the Venetian approach to colour through their rich and highly imaginative compositions, Piazzetta was part of the new trend that revived genre painting in the mid-18th century. The present canvas, published by Fiocco in 1927, is dated to the start of the artist’s mature period in which he revealed his talents as a portraitist as well as the influence of his teacher Antonio Molinari. Piazzetta originally used an oval format that was modified at an unknown date. Both the placement of the figure and the lines of an oval (just visible at the four corners) confirm this original format. 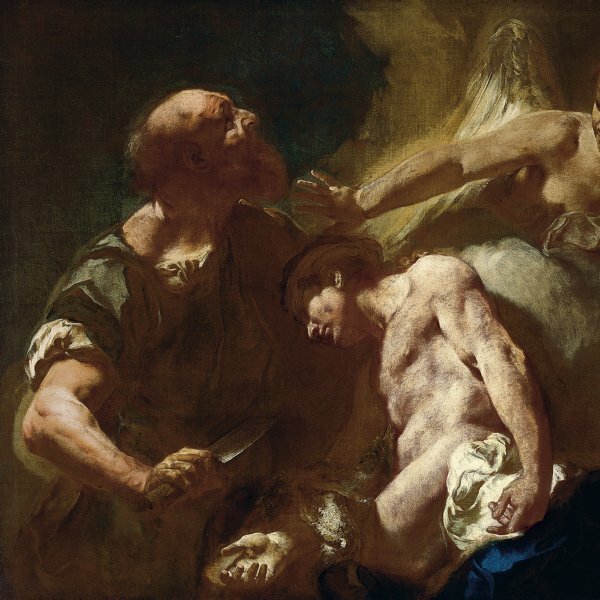 The image is constructed through the use of a pronounced chiaroscuro typical of this period of Piazzetta’s work in which light played an important role, inspired by the work of the Venetian tenebrists of the late 17th century. 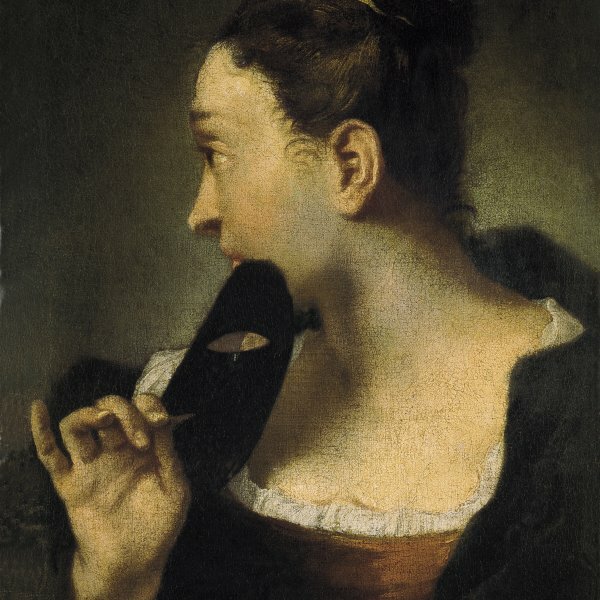 The identity of the sitter is known through the similarity of her features to those found in a Self-portrait by Giulia Lama in the Galleria degli Uffizi, Florence, dated 1725. Lama, a Venetian artist born in 1681, moved in the city’s artistic circles from a young age. 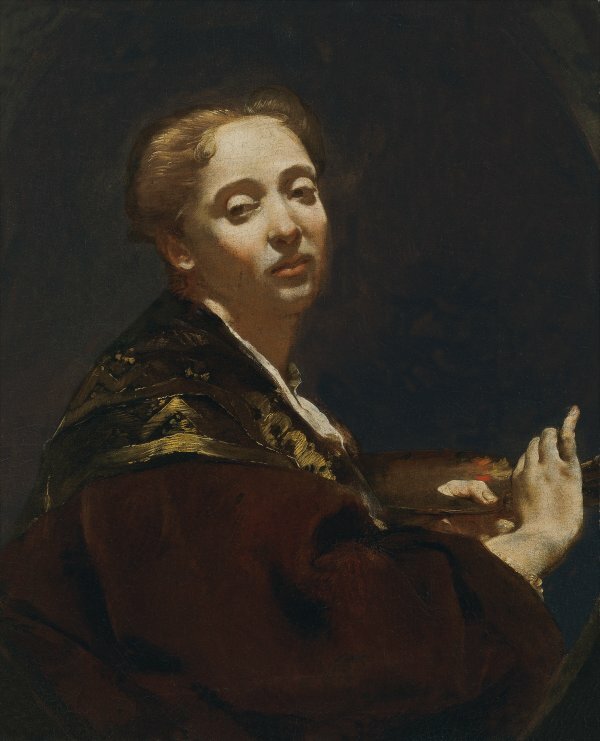 A student of Piazzetta, her earliest works deploy the strong contrasts of light typical of his work, although these would later be softened in line with the Venetian style of Giambattista Tiepolo and with Piazzetta’s later style. Giulia Lama died on 7 October 1747. The present painting was recorded in two Viennese collections, that of Eugen Miller von Aichholz and the Planiscig collection. From Austria it passed to the collection of Clive Pascall in the UK where Pallucchini recorded it in his monograph on Piazzetta published in 1956. By 1966 the painting was in the Thyssen-Bornemisza collection in Switzerland, having been acquired on the UK art market that year. Piazzetta depicts Giulia Lama with soft features, enveloped in a dreamy, melancholy atmosphere characteristic of his style and also evident on occasions in his genre paintings. 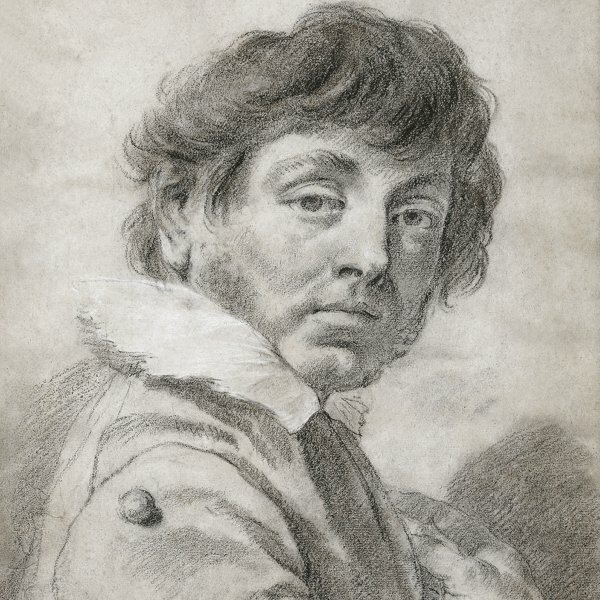 If compared with the Self-portrait mentioned above, Piazzetta’s depiction of Lama is an idealised one. This is also evident from the comment made by the Abbot Conti in 1728 to Madame Caylus in which he mentioned Giulia Lama’s unattractive face, but praised her graceful, elegant conversation. Piazzetta constructed the face from a warm range of grey-brown and reddish tones that are typical of his style and which contrast with the luminous whites used to define the neck of the sitter’s blouse. Her pose, turning towards the viewer with her palette and brushes in her hand, produces the sensation that she has momentarily stopped in her work. Mariuz drew attention to the way in which the large, swollen eyes are constructed, created from pronounced contrasts of juxtaposed light and shade. He related this to the face of the Virgin in the Sagredo Altarpiece in the Detroit Institute of Arts by Piazzetta. If we compare the present sensual canvas by Piazzetta with Lama’s Self-portrait in the Uffizi, in which she is also seen holding brushes and palette, her rather bulging, heavy eyes are also evident, particularly the eyelids. Also striking in the Self-portrait is the long, broad nose, which is less delicate than in the present canvas, and the heavily defined, thick lips and long mouth that are very different to the ones seen here. According to Jones, Giulia Lama posed for Piazzetta as Susannah in Susannah and the Elders, now in the Uffizi.